Matt Tierney is a Nurse Practitioner who holds a Master of Science deg ree in Nursing from UCSF. He directs two opiate replacement treatment programs that are part of San Francisco General Hospital’s Department of Psychiatry in the Division of Substance Abuse and Addiction Medicine. 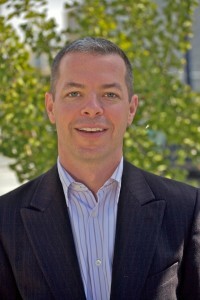 He is the former director of San Francisco General Hospital’s Addiction Medicine Consultation and Treatment Service. Matt is clinical faculty at the UCSF School of Nursing, and is a member of the Motivational Interviewing Network of Trainers (MINT), the American Psychiatric Nurses Association (APNA), and the Association for Medical Education and Research in Substance Abuse (AMERSA). He also has a consulting practice that focuses on addiction treatment needs, education and training in Motivational Interviewing, and topics related to co-occurring disorders. Q: The origin of this discussion was talking about how it is that some people manage to benefit from 12 step especially AA programs and others don’t. You said that the success of the program varies because it allows people to take what they need. I think that is a very good perspective, and the more I think about it, a good perspective on many things not just AA. Tell me a little bit about what do you think the key is to success with 12 step. Why is it that with some of the folks where we think the 12 step would be great, they don’t make it while other people that don’t seem that different are really are able to take advantage of the program. M: A key thing for any individual taking part in the program is the person’s relationship to it can change over time. What’s key now might not be key in 6 months or in some years down the road. A veteran of the 12 steps may read a particular step in a completely new way and rethink what it is all about. One key is peer support. The importance of someone who has “been there” and is there now can be helpful in a way that a clinician, nurse, or physician may not be helpful. The program acknowledges that an ex-problem drinker can gain the confidence of another alcoholic in a way that psychiatrists, doctors, family members and intimate friends may not be able to approach. There is wisdom among peers. I think another key element is the belief that people can and do get better. Even a small glimmer of hope, can help people start on the path to recovery. Another crucial component is to enter a 12 step program wherever you are in that moment. Any time is an okay time to begin the recovery process. There are people who have literally put down a drink, and gone to a meeting intoxicated. People may ask: “You can do that?” The answer is “Yes, you can,” as long as you have a commitment to doing better. Start wherever you are. You may say, “Hey I haven’t used in 12 years, so can the 12 steps really benefit me?” You may be surprised about how helpful the program can be to preventing a relapse or gaining a new perspective on yourself or on life. You can hop into a 12 step wherever you are as long as you are committed to the process of recovery! Q: What is the importance of the sponsor in the 12 step program? M: I think a sponsor is important. And, I have also known many people to attend meetings and get something out of meetings without a sponsor. I know people who have had many sponsors; some good, some not. Having a sponsor who gets to know you well and see your relationship with the 12 steps, and who also has their own relationship with the 12 steps, can add a whole different lens to the recovery process. A sponsor is a person who offers guidance in many different ways, but is essentially someone you can confide in and tell your story of addiction to, who will understand and care, but who won’t be adversely affected by the details of your addiction the way a family member or best friend might. There are no rules in how to sponsor somebody except to keep confidential and not try to change the plan of recovery and progress. A sponsor has an important role in the 12 step process, and having one is advised by AA, but in my opinion is not essential for recovery. Q: Working with someone who has a sponsor and doesn’t feel it is working out, how do you take a look at that? Do you encourage them to stick with it, or do you encourage them to change sponsors? How do you evaluate that? M: The sponsor relationship is not a marriage, but it is also not a fling. Some people feel very strongly about their relationship with their sponsor. If an individual feels they need to get a new sponsor then they can. M: If it works, it works. If it doesn’t, it doesn’t. A sponsor should approve of progress in recovery, understand the path of recovery and not try to change a plan. A sponsor should try to find out all they can about a person in recovery because recovery affects the whole person. A person in recovery doing 12 step work may sponsor someone themselves and learn about sponsoring from the other side. I think it can help give more perspective on the dynamics of the sponsor relationship and improve future sponsor relationships. Q: It seems to have to do with how the sponsor responded to a lapse or relapse. The “If you’re using, then that’s it,” response can cause tension in many sponsor relationships. What are your thoughts on that? M: That certainly could cause tension–it’s a time when a drinker or drug user especially needs support. The book “Alcoholics Anonymous” (or ‘the big book” as it’s called) says that sponsors should not waste time trying to persuade someone who doesn’t want to stop drinking because it may spoil a future opportunity. At the same time, it says a binge or relapse may be a good opportunity to interact. Some sponsors may have their own limits in working with someone who has binged. The big book says a sponsor should care about someone who is drinking, should look for opportunities, but never force themselves on a drinker. In addition to sponsors, you can also ask members at a meeting for support, advice, or to talk after the meeting if you are struggling with a relapse. It’s a big community. Q: What about the variation in the meetings you can attend? How important is it, in your experience, for there to be a good fit. What does a good fit mean? M: Having a good fit, or one meeting in which you feel most comfortable, is important. The 12 steps are a recipe for living a clean and sober life. That’s a very personal thing, and I think a meeting should “fit” well. But there may also be days where you just need to get to a meeting, any meeting, and the meeting could be a terrible fit where you think, “People don’t like me, don’t ‘get’ me…” But at least everyone in the meeting is trying to do better, and maybe that’s what is needed. I do think it is helpful to have a “home meeting” where over time people know you and understand you. A home meeting can be easygoing and humorous,r or it could be a group that takes a very serious approach. Maybe it’s a women’s only group, a gay group, or a “closed” meeting consisting of only of alcoholics in recovery. What group you choose to make your home group really depends on you and what you want from the 12 steps. Q: I’m Intrigued by how a person’s relationship with 12 step changes over time and how they may find that where they are most comfortable at any given time can change. Do you have any sense of people attending AA, now in recovery, who started with a serious addicition problem? How do you see that person evolve over time? When people come into Gateway Psychiatric with chronic depression, I find it hepful to give them some small idea of what to expect. I say, “Your symptoms should be better in 2 to 3 months, or within a year. You should be feeling very much improved, but it will probably take a couple of years before you are going to feel well.” The recovery time number is really not that variable from person to person. M: 12 steps recovery can occur in predictable ways, and the steps are designed in a particular order. There are other things that I expect, too. Like I expect a newcomer will often state, “I hesistated coming here, but I understand that this is where I need to be.” I also expect that some people new to recovery may experience a “pink cloud” period where they are elated with sense of community. They start to go to more meetings, see the same people, and begin to feel a sense of happiness about it. There are also points, by design, where the 12 steps are hard, and they require a lot of soul searching and getting to know oneself. Individuals start asking the difficult questions: “Who is my best self, and have I ever seen this person before?” All these emotions, events, and questions can really happen in the first year. It is no different from taking on a new endeavor like playing the violin. At first, you are elated to be starting something new and are excited about the future. Then, you begin to learn the basics and discover it’s hard. But, if you really want to play the violin (or maintain sobriety), you have to master some basics and continue to work at it. The road isn’t easy, but the outcome is worth it. When disenchanted people get back in touch with what attracted them to the meetings in the first place, their relationship with 12 step matures and takes off in all sorts of interesting ways. Some people become life-long devotees of 12 step, while others say, “It’s good to know I can touch base maybe once or twice a year.” I don’t think everybody necessarily goes through the same kind of relationship, but a newcomer can expect hard work and periods of elation. Q: What I am asking about goes beyond the scope of an individual’s relationship with 12 step, but applies to addiction as well. There is increasing evidence that the cognitive effects of addiciton lasts for several months. I believe people are not really clear headed for 6 months, or even a year, after they have stopped using or drinking. M: Very true. I completely agree. M: That is a great way of looking at it. Q: In regards to step work, how often do people do that? How important is that activity? I think when people say they are going through the steps and completing about one a week, it is reminiscent of cub scouts collecting merit badges. Other’s seem to take a month or more to think about a step in depth. How do you talk to people about their approach to the steps? M: I think it can be incredibly rewarding for anyone to do step work. The approach and pace is really up to the individual. That’s the magic of it. Is step work essential? I think it can be extremely beneficial if people choose to do it. If people really want to get the most out of 12 step it would be great to do step work with a sponsor, and to do them more than once for a lifetime. This is a recipe. The 12 steps are 12 great suggestions for living a better life. They are in a certain order for a reason and have been very carefully thought out. However, I think the journey will be different for each individual.